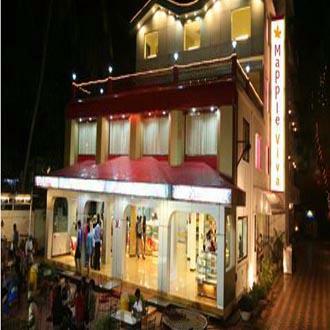 Located in Calangute - the pleasure hub of North Goa - Hotel Mapple Viva is just 27 kms from Dabolim Airport and 10 kms from Thivim Railway Station. Bearing a total of 56 rooms, this hotel has a food court with an attached air-conditioned bar that serves the choicest variety of wines and liquors. The hotel also offers Internet connectivity in all the private and public areas, and a well-equipped conference hall for the business travellers. The hotel's swimming pool is open to all guests.